DAC plating offers the best value of protection for salt water applications (i.e., during a standard salt spray test, rust will begin forming between 400 and 600 hours). 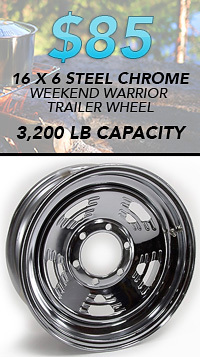 Integral 13" hub and rotor (one piece), 8x6.5 wheel bolt pattern, 9/16" wheel bolts. 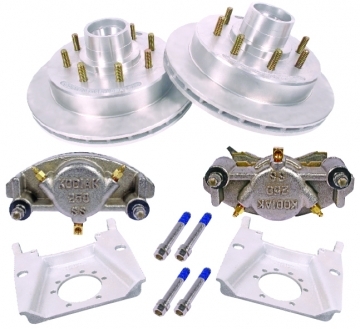 Caliper bracket mounts to 5 bolt brake flange and fits inside 16” and larger wheels. 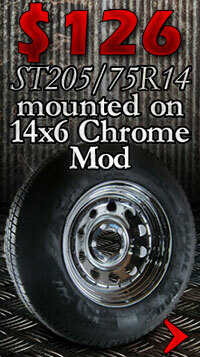 (Must use 8K outer bearing# 02475 not included). Automotive Quality Casting. Rotors are 100% tested and balanced to meet very strict specifications. 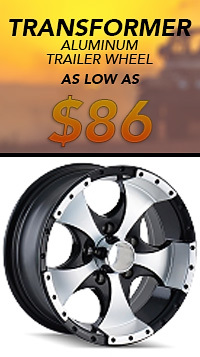 Our Rotors are vented to improve heat dissipation. 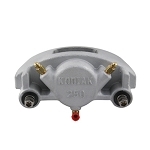 All gray iron Kodiak rotors are 35,000 PSI tensile strength castings for longer rotor life, improved structural integrity and superior performance. 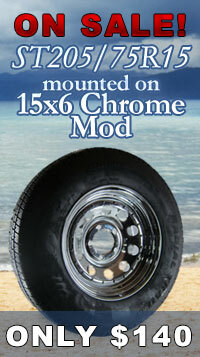 All Rotor/Hub-133-8 are furnished with industry standard polycarbonate screw-in oil cap (can be used with grease).